I took an LDC Semi-Intensive Pass Course with Garry, with only 10 hours booked before test day. 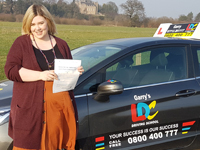 I'd had driving lessons several years ago but after a series of fails, for stupid reasons, it completely destroyed my confidence and I packed it in for 5 years. After my course with Garry, I passed my test with zero minors! This is a testament to Garry's skills as an instructor. I had a thoroughly enjoyable few weeks learning – Garry was always punctual, very good at explaining concepts and rules, an excellent, gentle and kind teacher and, most of all, patient. He identified areas that could be improved upon, such as checking my mirrors when moving in and out of stationary vehicles, and we drove on so many suitable roads until I was comfortable and confident. I especially like the LDC approach of using the workbook to self-reflect and identify my own areas of strength and weakness. It really made me question why I did certain things and helped me become a confident and safe driver. It can be difficult to self-evaluate, but this approach really lets the information and skills gained stick with you. I would not hesitate to recommend him to anyone else looking to learn to drive. Thank you again. 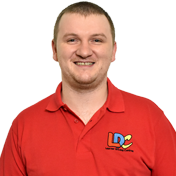 I'm a driving instructor in Falkirk, Grangemouth, Bo'ness, Larbert, Bonnybridge, Linlithgow, Livingston and surrounding areas.